Porcelain veneers are an increasingly popular option for those seeking to conceal cosmetic dental imperfections and achieve vibrant, beautifully aligned smiles. Experienced Hayward cosmetic dentist Dr. Gary G. Fong can help you determine if dental veneers are right for you. If you’re unhappy with the appearance of your smile and would like to learn about your cosmetic dentistry options, please call 510-582-8727 to schedule your personal consultation. 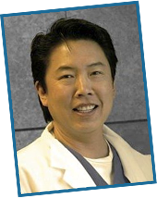 Dr. Fong welcomes patients from the greater Hayward, San Leandro, Castro Valley and Union City, California, areas. Patients with severe teeth alignment issues or bite conditions may benefit from another treatment. Dr. Fong will thoroughly assess your condition and discuss your treatment choices with you in detail. Porcelain veneers are made of sturdy, dental-grade ceramic that provides durability when bonded to the surfaces of your affected teeth. This allows porcelain veneers to function like your natural teeth. Dental veneers are individually crafted, and they allow a high level of customizability in their shaping, contouring and coloring to achieve a uniform appearance and a bright, natural-looking smile. The translucent nature of the porcelain used in dental veneers resembles natural teeth, and your veneers can be further tinted to your desired level of brightness. The porcelain used in dental veneers is naturally stain-resistant. In order to preserve the beauty and integrity of your porcelain veneers, however, it is critical to practice a good dental hygiene routine. Fortunately, porcelain veneers are also easy to care for by brushing at least twice daily with a soft-bristled toothbrush and flossing at least once a day following brushing. To learn if porcelain veneers are the best choice for your unique needs and aesthetic goals, please contact Dr. Gary G. Fong today. Dr. Fong is proud to help patients from the greater Hayward, Castro Valley, San Leandro and Union City, California, areas rejuvenate their smiles.